For a limited time on the DL Deals Store, you can pick up a ilumi Bluetooth Smartbulb, or multiple of them, each priced at $49. Considering these bulbs were priced $90 at launch, grabbing them for $50 is a solid deal. 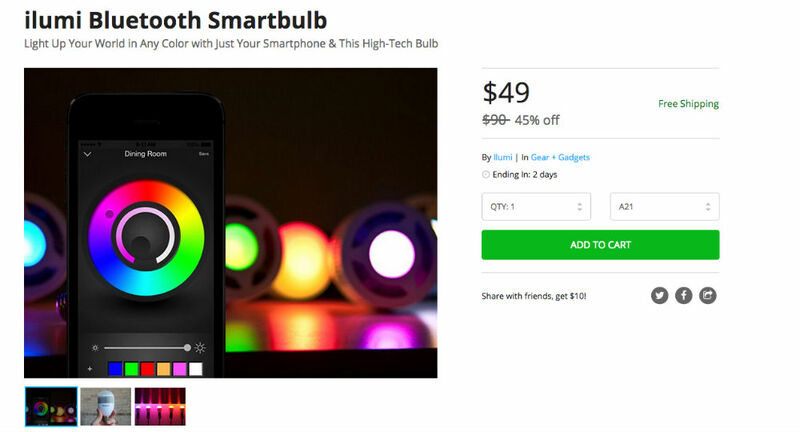 With these bulbs, like other smartbulbs, users can control colors and mood settings directly from a smartphone. Users can also set up pulse shows when the bulbs are synced to music, turning your home into the ultimate rave station. The bulbs offer a ton of neat tricks, all programmable for those who want to take the dive into LED bulbs. And plus, it’s better for the environment. Follow the link below to pick a few up.